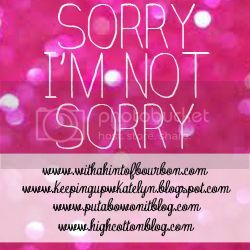 Today, I am linking up with the best, also known as Staci and other lovelies, to bring you things that I will NEVER (ever ever) apologize for. Well maybe, but probably not. -I hated college and couldn't be happier that that time in my life is OVER. -I really can't stand three-letter monograms. SO NOT SORRY. -I love prison movies. 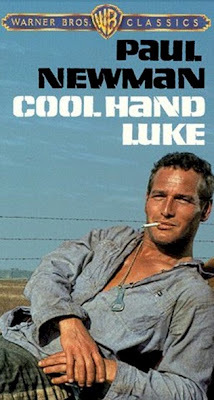 Shawshank, Cool Hand Luke, The Green Mile, Stallag 17. Love 'em. -I'm SO sick of Beyonce. -On that note, I should tell you that I can't stand Jennifer Lawrence. -I have zero patience. Ever. -You can tell what I'm thinking/feeling by my face. I've actually been told to "fix" this. Um...no. -I am a grandma. Complete with never missing Jeopardy and going to bed at 9:30. -The smell of peanut butter makes me gag. I can eat it, I just don't do so well opening the jar. -Poor grammar will make me hate you. -I'm creepy with birthdays. As in, I will remember it forever if you only tell me once. -I am directionally challenged. This is what a GPS is for. -I have never seen The Bachelor. -It irritates me when people refer to themselves as a twenty-something. Well, that's nice, but why don't you just tell me how old you are? Or don't refer to it at all. kthanks. -I sound bitter in this post. Maybe I am. Oh well! That's a lot of things. So I guess I'm also not sorry that my list was so long. I can't stand Beyonce or Jennifer Lawrence either! Hey there. I'm your newest follower. Found you thru another blogger thru the I'm not sorry link up. I am with you on the 20 something deal. That aggravates the crap out of me. Why can't they say their whole age? I mean, heck I'm 29 yrs old. It wasn't that hard to do. Yea...I'm tired of Beyonce too. Bahah I always blog at work! And I LOVE Jeopardy! Early bedtimes are the best! Thanks for linking up! OH.MY.GOSH. I also hate it when people refer to themselves as twenty-something. Really? Do you KNOW your own age?